I'm Quran teacher. I teach tajweed, hifz and recitation. *graduated from the faculty of arts Cairo university 1998. * Experience: *7 years in teaching Quran and tajweed at moalemi ul Quran institute according to Al Azhar face to face. *Teaching online Quran and tajweed to non-Arabs with teaching Noor al byan to children for one year. *worked as a Quran and tajweed teacher at studio Arabia institute for a year. *1 year of teaching Quran at Al Alson Azhari language Schools. 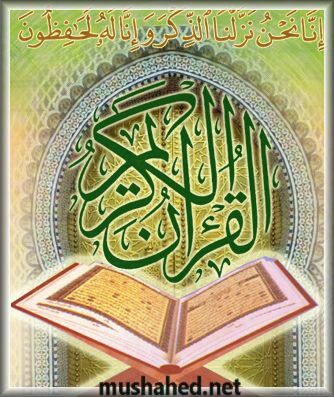 *Certificates that I have got: * Ijazah of tajweed from Al Azhar institute for qira’at ashr. *Ijazah connected to prophet Mohamed and sanad with rwayah hafs and aasim. *Ijazah with rwayah warsh. *Ijazah with rwayah kaloon. *Ijazah with rwayah el bazii. *Ijazah with rwayah kombol. *Ijazah with rwayah ad dory. *Ijazah with rwayah As soosy. I can Communicate with Students easily online in Arabic and English language. Was not available when we were for lessons most of the times. Would have been a really good teacher as my daughter enjoyed her lesson with her when was available. I highly highly highly recommend Ustatha Shaimaa. She is likely the most qualified Quran teacher on Qutor. She's very precise with the tajweed and caters her teaching style to your strengths and weaknesses. She's also very understanding and flexible with scheduling! I ask Allah to accept her time invested in her students. Ameen. Was really excited to be her student but unfortunately our timings never matched. I kept rescheduling but due to some reasons, sister Shaimaa didn't make it to any of the sessions. Masha'Allah, she is an amazing tutor! Very sincere, easygoing, and hard-working. I would highly recommend her to anybody! Absolutely amazing tutor mashaAllah! Sincere, very hard-working and willing to work around your schedule. I would highly recommend her!